smooth airflow system. Bullets loaded, come and make every shot tell! high-pellucidity appearance, you can clealy see the e-juice through it. coil, there also are green light coil, orange light coil available. process and huge vapor production. shows the exquisite aesthetics and real texture. life, and also provide more stable working performance. 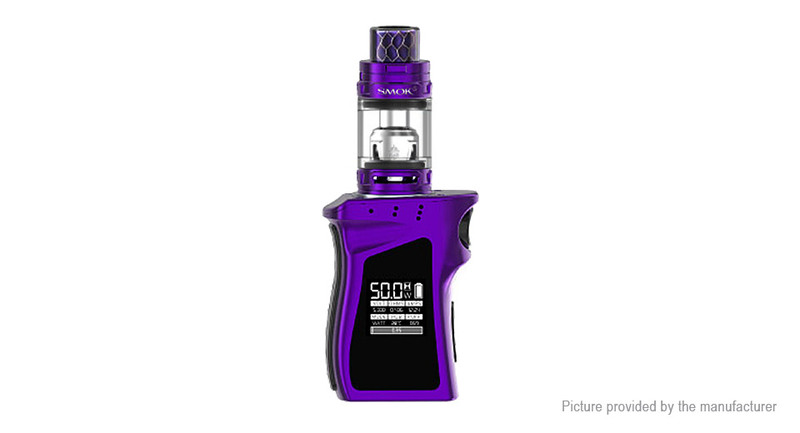 50W POWER: Built-in 1600mAh battery and max output 50W, supporting TC/VM Mode, Mag baby brings you different flavors and clouds. 0.96" OLED SCREEN: Vaping data is easy-to-read by the OLED screen that takes account of visual effect and high-grade appearance. batteries frequently, the mod can be recharged via the Micro-USB port.